We have had a great 2010 here at Junk King. Not only have we expanded with many more franchises across the country, but we’ve also been able to continue to provide our customers with the high level of service that they’ve become accustomed to. For Junk King, providing a top-notch junk hauling service that leaves our customers feeling satisfied has always been our number one priority. Although we’re incredibly satisfied with 2010, that doesn’t mean we can’t have resolutions for the New Year. Just like everybody else, we are always looking for new ways to improve. We want 2011 to be even better in terms of franchise expansion as well as providing our customers with the best hauling service out there. So, without further adieu, here are Junk King’s New Year’s Resolutions for 2011. - Stay the Green Path: Junk King has always been an eco-friendly company and we plan to continue our green ways into 2011. Our roots in the Bay Area are reflected throughout our franchises across the country who always make it a priority to recycle as much hauled material as possible. With this mindset, not only can we help out businesses and homeowners by taking junk off their hands, but we can also make a difference by helping out the environment. - Customer Satisfaction Stays on Top: No matter what we change, customer satisfaction will always be our number one priority. Going into the New Year, we want to make sure that although we are expanding, customer satisfaction continues to be the driving goal across all franchises. We want to make sure that after a job is complete and we’ve finished loading up a truck, a customer can wave goodbye with a smile on their face and the knowledge that we’ve done a great job for them. - More Junk King Franchises: So far we’re extremely satisfied that Junk King Franchises have been succeeding across the country, but this is just the start. In 2011 we’ll see even more franchises in cities that could really use some great junk removal services. Junk King Chattanooga and Syracuse are two of the first franchises that are set to launch in 2011 – expect many more to come. 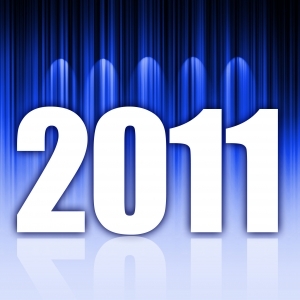 No matter what happens in 2011, we’d like to thank all of our customers for their loyalty throughout the last year. We look forward to working with new and old customers in the future. Happy New Year! This entry was posted in Green Junk Removal, junk franchise, junk hauling business, junk king, junk removal, Junk Removal Franchise and tagged junk king, Junk King 2010, Junk King 2011, Junk King Franchises, Junk King Recycling, Junk Removal Franchise, New Years Resolutions on December 31, 2010 by Junk King. Last updated December 31, 2010 .